“Emancipation” a novel worth Reviewing! Trip in depth of humans and the voice of politics, a trip with a writer loves everything that is real. Make an existence of each meaning and make an antagonism to its existence... To make the road as a fate, and the hope as reality, that no life without it. Amira El-Sherbiny and her novel “Emancipation”. I graduated from the university with a degree in pharmacy in 2004. Years later I worked in marketing and publicity, and I liked it very much as I felt publicity is related to creativity which is somehow similar to writing, because in writing we are marketing ideas and we try to reach the reader and present the idea in a template which the reader can accept. That is why I felt more comfortable in marketing than pharmacy. What is the story behind your two pen names Farida and Amira? The name Farida was known through blogging. We don’t choose our birth name, so I have chosen another name, however I like name Amira. My pen name Farida was the name I used for writing for a while and it represented the writer. How did you get the novel’s main idea? When we had a revolution in Egypt it was unexpected, and if anyone claimed prior to the revolution that one day people would stand at Tahrir Square and demand that the president step down, no one would believe that. After the revolution succeeded, I noticed that so many youth are going through a phase of skepticism as so many questions were asked without answers, by this time all the bad impacts of the past regime started to be shown obviously. The main one in my opinion is doubt the individual ability; it is the primary way for the dictator to make people doubt their abilities in order to be able to control their lives in both direct and indirect ways. 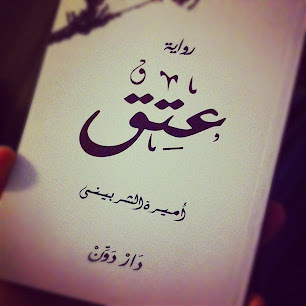 Unfortunately we don’t have enough faith in ourselves and that is how I got the main idea of the novel and I preferred to present it in a simple way not as a political speech, so I focused on a common factor between most of my generation which is the instability in personal relationships caused by doubt. Why did you make the female main character the narrator? I was trying to show the reader the feelings of confusion, floundering, and doubt, and their effect on the female main character. By making the main character the narrator, I’m able to present these feelings to the reader through her inner conversations. Why are the names of both the main male and female characters not mentioned? I wanted to allow each reader to find himself in the novel, so it is not only a story of two particular people but also can be a reflection of self for any reader. Are the novel’s characters based on true ones? I compare writing to weaving, as if there are threads of reality, threads of your own self, and threads of imagination, and by the time you’ve finished weaving, it is difficult to determine the origin of each thread in the final textile. Thus we have to accept the writing work the way it is and as long as you found yourself by reading the novel then it has bases of reality. What do you think of emigration out of the country? The sentence from the novel that was in my mind while I was writing is “The woman is like the land and the man is like the dowel and immigration is the fate of the weakened”. People in any country with bad circumstances tend to leave the country, but if we all lose hope and faith who would stay to fix the country? That is what the novel was written for as people believe they are weaker than the surroundings, but if they believe in their abilities enough to change, they will be able to do so. The real example in history is Mahatma Gandhi who didn’t leave his country to change it, but believed in himself and the strength of his ideas and target. “Hala” is a character in the novel who decided to travel and marry a non-Muslim man, why did you show such figure? She represents a character that already exists in our society, as many girls are judged by their previous experiences and many guys experienced a failure in their relationships but in a different way. 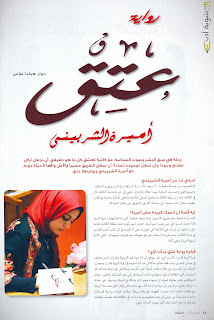 Sometimes the writer shows the extremist as a way of alerting society, however I showed “Hala’s” story in a neutral way and gave the reader the freedom of decision about it. The end of the novel is full of questions, and you’ve written “the answers are just other tales.”Why is that? I like the ending that raises questions. As in life, from my personal prospective, each end means a new start. The novel has a symbolic side as the main male character can represent the man that can’t be a leader in Egypt, while the woman represents the country. 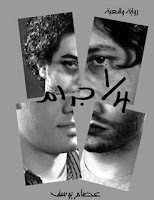 Last year, when the novel was published, Egypt’s future was still uncertain, so how could I write a certain end for characters that suffer from skepticism and confusion? But still I gave hope by saying that each end means a new start. What did you learn from “Emancipation”? Regarding the writing, whenever I read part of the novel that I don't like or someone critiques for me, it is considered a process of learning in order to improve my writing technique. Regarding my personal life, I learned that I have to believe in myself and when I wrote that writers teach themselves through writing for others I was referring to myself as well. And I moved forward in my technique during the time of writing “Emancipation”. How did you feel when you learned about the submission of your novel to Booker prize? I was in the United States of America at the time and I got a call from a journalist from Egypt to congratulate me, I asked her “For what?” When she told about the submission I was thrilled because it is such an honor to have one’s first novel accepted for submission for the Booker. The one’s ego and vanity are always barriers between him and two things, one is to learn and the other is to admit his own mistakes in order not to repeat them. And the first defensive way upon advising is to neglect the advice and criticize the advisor! I am affected by the holy Quran and God mentioned in the Quran the prophets’ stories and also the prophets’ mistakes that they repented later. The point behind that is to know that human beings can make mistakes and have flaws. When the prophets were calling people, people used to assault them as a way of rejection. Tell us about your next book, will it be a novel? My next book will not be a novel; I am currently working on a book about my travel experiences I will try to offer it in a unique way depending on my personal prospective, and I hope it will be a good book.